Description: Soho Cà Phê 25 Nguyễn Đình Chiểu, P.Tây Sơn, TP Pleiku, TỈnh Gia Lai. Soho Cà Phê 25 Nguyễn Đình Chiểu, P.Tây Sơn, TP Pleiku, TỈnh Gia Lai. 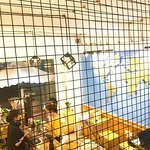 Soho Cà Phê 25 Nguyễn Đình Chiểu, P.Tây Sơn, TP Pleiku, TỈnh Gia Lai. 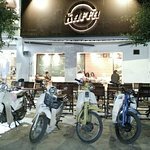 Soho Cà Phê 25 Nguyễn Đình Chiểu, P.Tây Sơn, TP Pleiku, TỈnh Gia Lai. 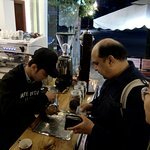 On my first trip here, I ordered the Americano. It looked more like two shots of espresso in a big cup (no hot water added), but it was still a delicious cup of coffee for less than a $1. 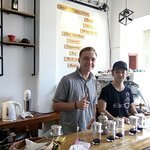 On my second trip I order the ca phe sua da (iced vietnamese coffee with sweetened condensed milk - Vietnam's national drink) and it was equally good. 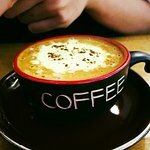 I've had the same drink at other coffee shops, and perhaps it's because the beans weren't of the same quality as Kaffe's, but they just weren't as good. The woman working there speaks relatively good English and they have a menu page in English too. It's a pleasant place to spend a couple of hours, especially if you need to get some work done (the wifi is great!). If you're taking the bus to Kon Tum, the bus park is pretty close by. 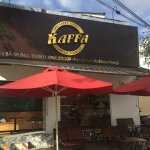 Kaffa coffee is a destination for tourists who want a good coffee and convenient to travel in Pleiku. 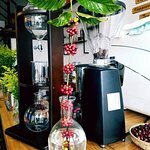 We will try to improve better to introduce coffee of Gia Lai to customers. 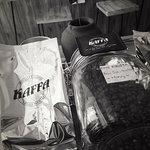 Kaffa Coffee always set the quality criterion is number 1. Hope you have memorable trips. 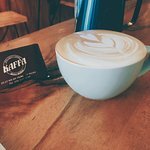 Been to Kaffa Coffee? Share your experiences!